Pudincoco coating thickness gauge is able to measure the paint thickness with high accuracy. The small LCD display on mini size gauge shows the clear readings in digital format. 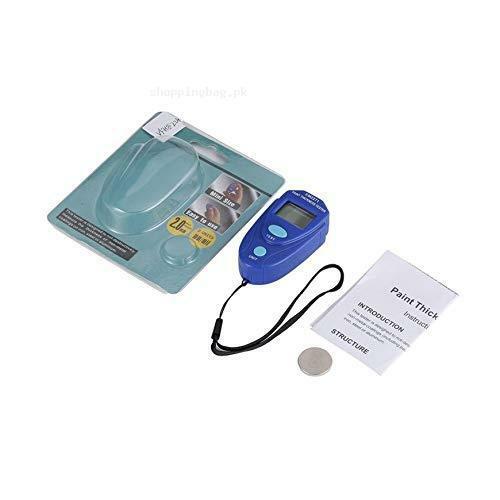 It is easy to carry and easy to use coating thickness measuring gauge, available from Amazon online shopping in Pakistan. It is highly used to find the paint thickness on car. The automatic calibration also allows it to give the most accurate reading every time. Various Power Supply: 1piece 3V button cell, CR2032 or equivalent. Convenient Settings: automatic calibration and data hold, selectable unit mm/mil. Mini size: with LCD display, easy to carry and have clear readings.